There is nothing worse than making your hugely anticipated/successful/helpful mobile app only available for a single platform. It means missing out on a huge part of your potential customer base. By using Phone Gap you can create an app for each of the platforms that you choose, using a single code base. Focus on creating a great experience for all of your potential customers instead of authoring complex platform compatibility layers — it just makes sense. By remaining free and open source, Phone Gap makes mobile app development accessible to thousands of web developers. We have great community support, which means that there are more people available to help you out and to keep the software current and robust. The Adobe Phone Gap team remains highly active in the stewardship and development of the Apache Cordova project. 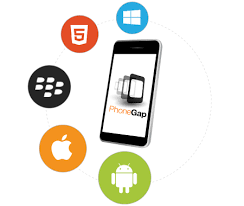 Phone Gap as most of us know is an amazing cross platform framework, that lets the developers to develop applications that run smoothly on multiple mobile platforms like iOS, Android, Windows and more. Phone Gap has a robust backend system that tremendously speeds up the development process and reduces developer’s efforts. The beginner’s guide also helps in speeding the process further. With the Phone Gap framework, you get the best for free. The Phone Gap community compiles new codes and modules which are available for free because of its Open Source License. With all these super features, Phone Gap has emerged as a great framework for mobile app development. A high level of uniformity can be maintained when the apps are developed for multiple platforms. Phone Gap abolishes the differences in the app’s look and feel when viewed on different platforms. It’s a win- win for all the stakeholders. The developers gain as they have to spend less effort and get develop an app which will work across all mobile platforms. The businesses gain as the app is prepared and ready to hit the market in minimalist time. One of the most amazing things about this framework is that it taps into the device’s hardware such as the camera, Geo location, accelerator and few others. With this, the apps developed on Phone Gap can easily make use of the properties of the native resources of the device, without compromising on the User Experience. Like everything else, Phone Gap too has some areas of improvement. Now that we have looked at its advantages, we can move ahead to look at its disadvantages. Phone Gap can be inefficient sometimes, while working with native apps. Phone Gap framework lets the developers to develop the apps only for once. Thereafter it charges some monthly fees.